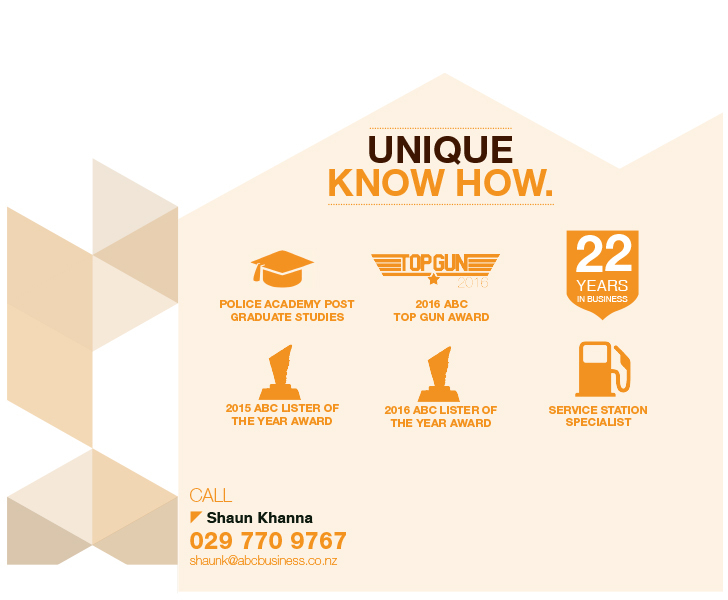 Shaun has over 25 years experience in Sales and Marketing, specialising in Real Estate & Business Sales & Management. His previous business experience is owning and successfully running a BP Service Station, Superette and a Lotto Store for a number of years in Auckland. Beginning his career as a celebrated Police Officer in the Hon. Prime Minister of India's Security for a number of years, Shaun then diversified into the corporate world and has worked in a Managerial capacity for a number of International Companies of high repute such as Group 4 Falk Securitas in Sales, Marketing and Training. His background and experience gives him a thorough understanding of life as a business owner and what it is like to sell a business which you have strived to build. Shaun provides exclusivity in presenting and marketing your business in a confidential and professional manner, to achieve the best price. He has a strong and undaunted commitment to his valued clients with an ability to detail and sell the business at the desired price. Thanks we made it across the finish line! We will be recommending ABC, to anyone we know who is looking for a business broker. In particular Shaun, who we couldn’t have done it without him. Shaun went above and beyond and held the sale together many times. Shaun is a real asset to ABC and is extremely knowledgeable person. We would like to thank you both and ABC for making it happen. All the best for the future. Liquor Store - High Cash Surplus!